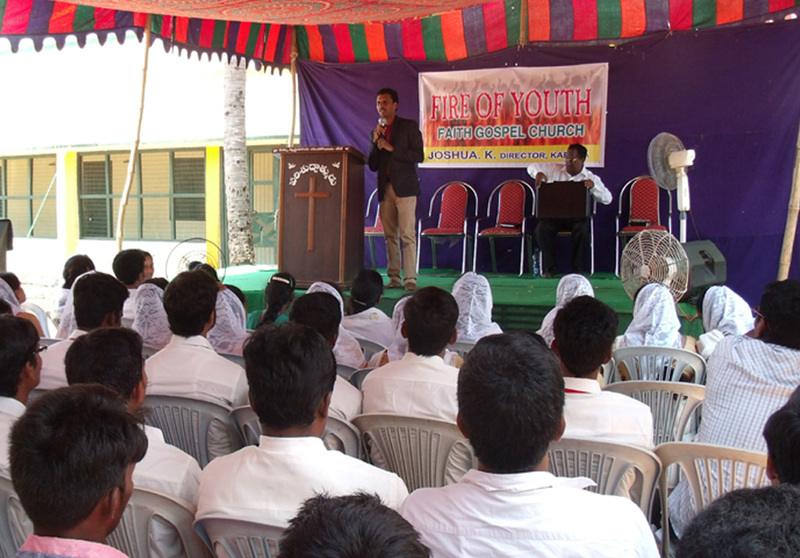 We prepared youth in our Church they are 32 now, we are going out side and conducting youth meetings in the big center places and inviting all youth from surrounding villages. In the meeting we will sing, explain God’s word to save their lives from evil spirits in the World. My son Joshua and me teach them about Peace, Love, Grace of Jesus and inviting them to the church services and teach them how to pray and read the Bible. As many of the youth are spoiling their life by addicting to smoking, drinking, drugs and other activities. So we have a heart to save young people to perishing in the worldly nature. We need your prayers and support for youth to be save in Jesus.